Spring is a beautiful time of year in Washington, D.C. The temperature warms up; the cherry blossoms are out; and we frequently have an update of Congress.gov to share. In 2015 we added treaties and web-friendly bill text, and in 2016 we expanded the quick search feature. 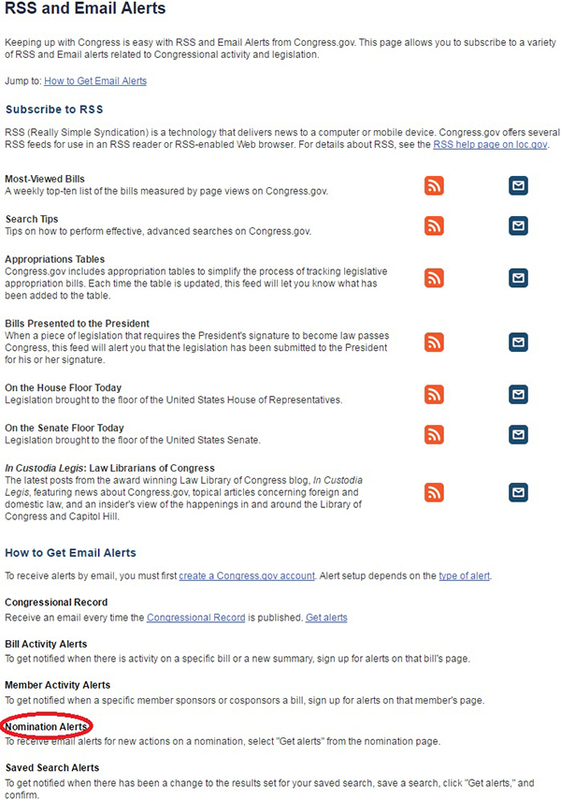 Today there is another round of enhancements to the Library of Congress website for tracking Congressional activity. The big new item in this release is the ability to download your search results to a CSV (comma separated values) file. You can then open and manipulate the data in a spreadsheet. Soon, I will write a post to demonstrate this feature in more detail. There have been a few changes on the homepage. One nice addition is highlighting Search Tips. Above that, in the News from the Law Library section, there will now be a contextual photo from the blog post. Several improvements and features have been added to the Advanced Search, Query Builder, and Quick Search forms. One nice addition to many of the Quick Search forms is a related Browse link next to the About link. It gives you a fast, direct way to switch from searching to browsing. Also, when using the Quick Search “Words and Phrases” box, it now defaults to a presumed AND between the words rather than OR. This change is a direct result of user testing. What does it mean? If you typed Library of Congress, the search previously would have been looking for Library OR of OR Congress. With the current updates, it is looking for Library AND of AND Congress. This will generate fewer items in your search results. For now, this feature is only available in Quick Search. The Query Builder also has been enhanced. There are now selections from the drop down for “no word variants” and “case sensitive” for several items. And there are more distance options for the “is near” operator on the form. The RSS and Email Alerts page continues to grow with Nomination Alerts now listed there. 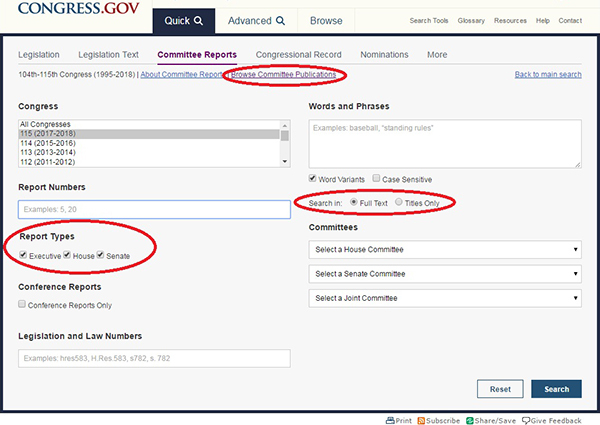 Links to “Browse Legislation,” “Browse Committee Publications,” “CR Browse,” facilitate access to a library of popular reports. 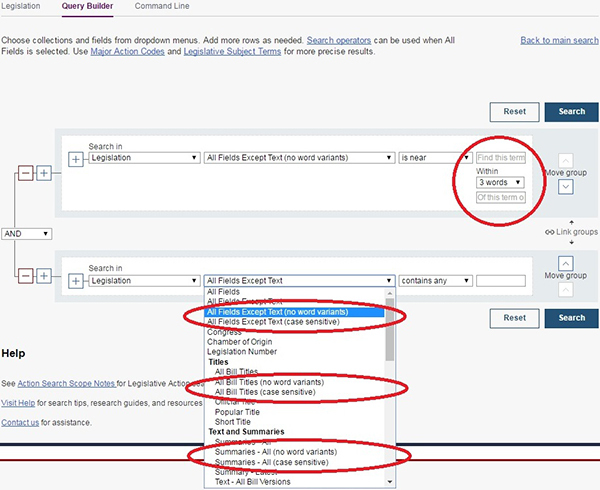 Link to “Browse Legislation” facilitates access to more than 35 frequently used reports. Please share your Congress.gov feedback via this survey or in the comments on the In Custodia Legis blog. For a quick refresher on Congress.gov enhancements from last year, take a look at this post.This post was originally published on the Law Library of Congress In Custodia Legis blog.